I hoping we will have enough time to head over to Ikea so I can look for some cute accessories for our new bookshelf. I also need some of their awesome feathered pillow forms so I can finish making the accent pillow cases for our bedroom and sofa. I've had the fabric sitting around for months, and I hate starting a project and not being able to finish it! Have a great trip and enjoy your weekend! NICE!!! Sewing enables you to be sooo much more creative and unique!!! 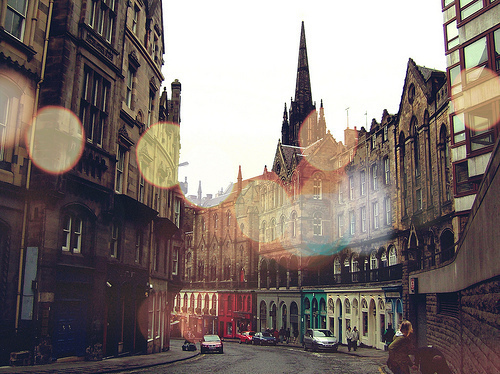 This kinda looks like the Royal Mile in Edinburgh Scotland. I miss it =( Have a fun weekend!